166 Chestnut Hill Road. (Rt. 190) in Stafford Springs, CT. 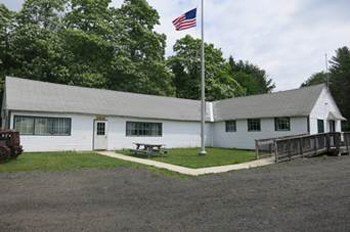 The Connecticut Civilian Conservation Corps Museum is in the former Administration Building of Camp Conner. It has many photos, displays, information and artifacts from CCC camps in Conn. and other states. It is located at 166 Chestnut Hill Rd. (Rt. 190) in Stafford Springs. 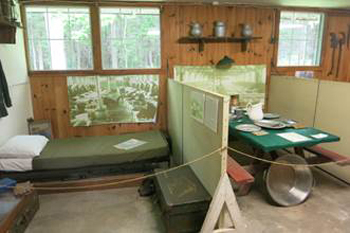 The museum was called the Northeast States CCC Museum and was founded by Connecticut CCC boys who were members of Chapter (#170) of the National Association of Civilian Conservation Corps Alumni NACCA. 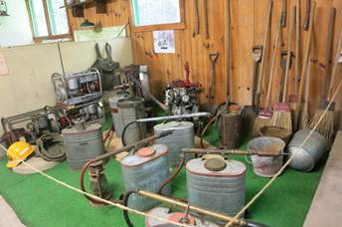 The Connecticut Department of Environmental Protection, State Parks Department, Bureau of Outdoor Recreation, provided the museum with the partial use of the building, staff, and supplies. 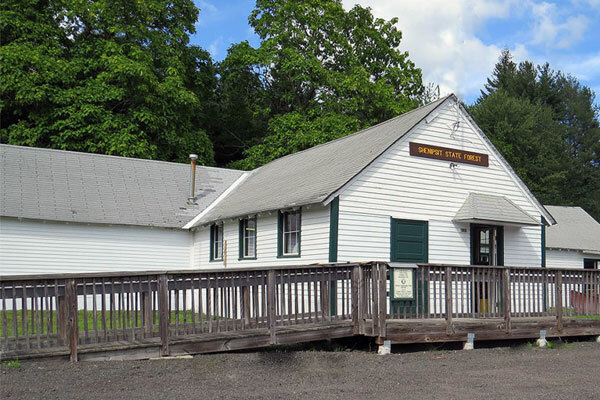 Due to state budget cuts, the Connecticut Civilian Conservation Corps Museum Museum was closed in 2017. It is now open for the summer of 2018 with volunteer support. The Connecticut CCC Museum is open Sundays from 12-3 pm from Memorial to Columbus Day weekends. When the State did not open the CCC Museum due to financial difficulties, Marty Podskoch organized a group of children whose fathers were in the CCC and CCC friends and were able to open the museum and continue the history and legacy of the CCC. The CCC began on March 31, 1933 under President Roosevelt’s “New Deal” to relieve the poverty and unemployment of the Great Depression. Twenty-one camps were set up in many Connecticut towns, state parks & forests. Workers built trails, roads, campsites, & dams, stocked fish, built & maintained fire tower observer’s cabins & telephone lines, fought fires, & planted millions of trees. The CCC disbanded in 1942 due to the need for men in WW II. Last year the Museum was closed due to state budget cuts. Volunteers composed of CCC alumni, children, and friends have offered to staff the museum. For more detailed information on the CCC in Connecticut, find Martin Podskoch’s book: Connecticut Civilian Conservation Corps Camps: History, Memories and Legacy of the CCC It is available at book stores or on line at Amazon or Barnes and Noble. You can also order directly from the author: Martin Podskoch, 43 O’Neill Lane, East Hampton, CT 06424 or call 860-267-2442. The 546 page book is available in hard cover at $29.95 or soft cover at $24.95. Please add sales tax and $3 shipping.